Living in a house with a teeny bathroom upstairs I have learnt that is all about illusion! We are currently planning a bathroom revamp for next year, along with a whole host of other house improvements. Someone wake me when its all over!!! So far I have created a great home office space in my hallway, which works really well. The next project depends on planning etc. And with the right style tricks, a small bathroom can go from feeling cramped and dingy to bright and big in no time. Small spaces can be so much more practical than big bathrooms and can ooze style and sophistication. Here are five tips and tricks for styling a small bathroom. One of the oldest tricks in the book but super effective. Using a mirror in a small space will trick the eye into believing the space is much bigger and brighter. They not only bounce light around the room, but they also reflect the space making it feel double the size. There are so many options depending on your style and the shape of your room. 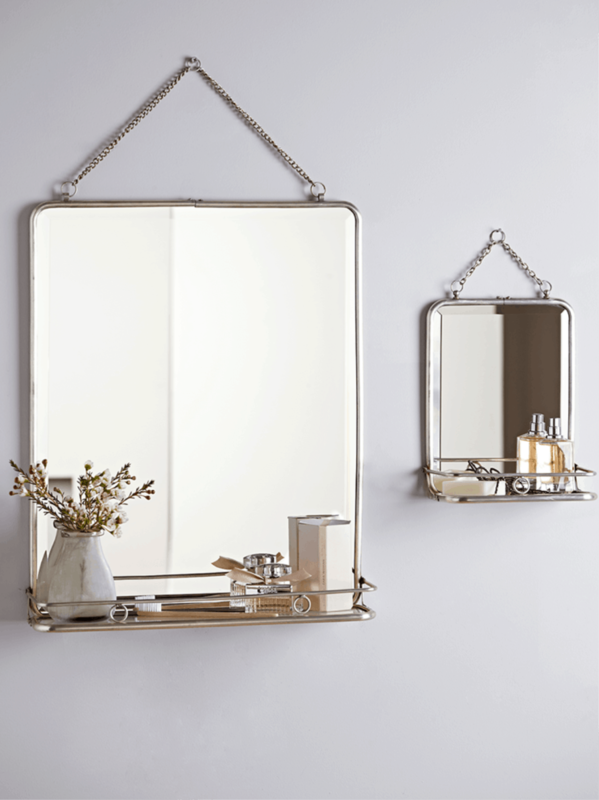 If you are going for a simple elegant touch, opt for a classic French style wall hanging mirror. Alternatively, if you want to make more of a statement, opt for a distinctive starburst mirror or a mirror wall – they are massively on trend this year. In a small bathroom it is a great idea to stick to a neutral colour scheme to make the space feel bright and airy. Go for white, grey tones across your tiles and flooring, as well as any wall paint. Neutral colour schemes always ooze style and sophistication and give you the flexibility to experiment with small pops of colour. 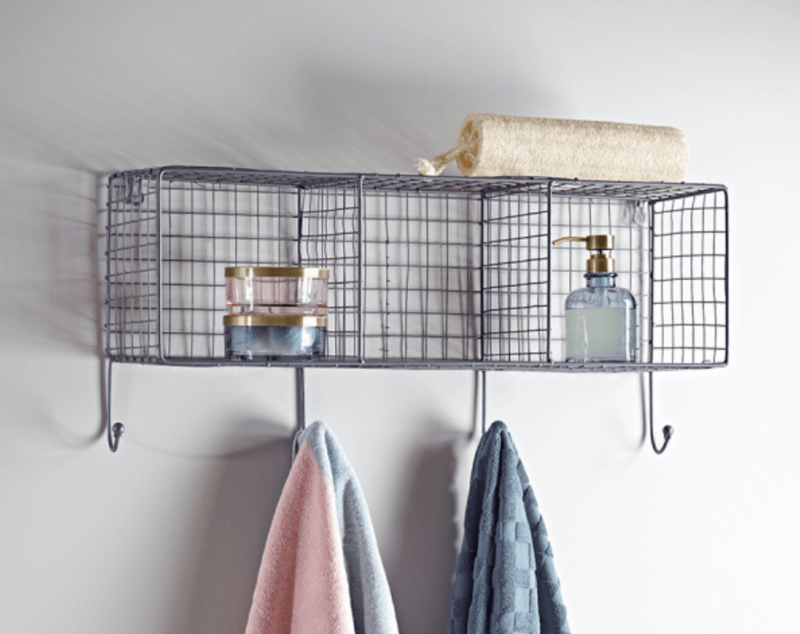 As large areas of space will be neutrally decorated, add an accent colour through your bathroom accessories. Go for coloured candles, plants, towels, bathmats, soap and toothbrush holders. This is a great way to make your space feel more personal and add visual interest, drawing the eye to small pops of colour. Don’t go crazy though, an accent colour should only make up around 10% of the room to be effective! 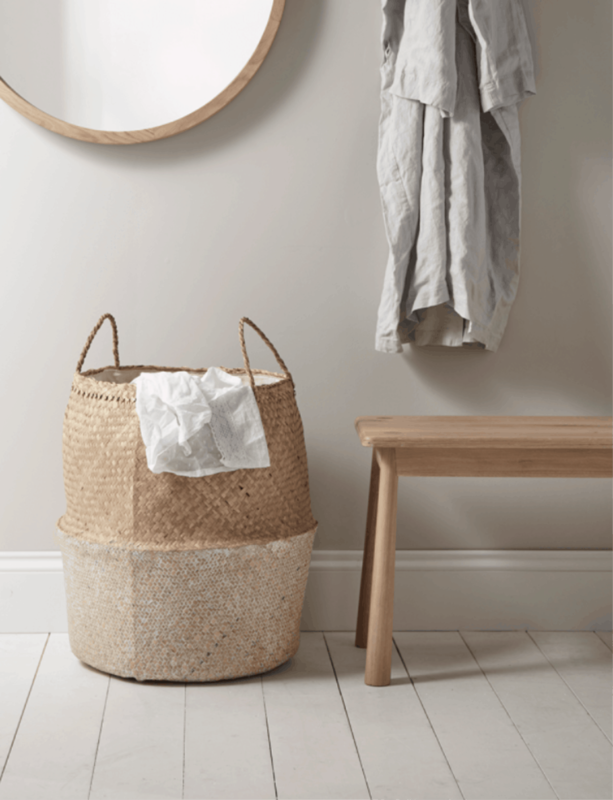 Opt for simple storage solutions in a small bathroom. Freestanding pieces are perfect as they keep your room clutter-free and take up much less space than fitted cupboards. Why not try a slimline storage tower – that come with handy drawers and are super slim to fit in the smallest of spaces! If you are tight on floorspace give floating shelves a try – they take up no floor space and still give you a place to pop your toiletries. Try to avoid buying large items for a small space – they can be overbearing and make the room feel cramped. To avoid your room feeling smaller than it is, pick appropriately sized items such as bins, toilet brush holders and bath mats that don’t crowd the room. Don’t be afraid of injecting your interior style into your bathroom, no matter what the size. Stick to these tips and tricks and your bathroom will feel full of space, light and luxury.